Despite the broken English, Bridge got the gist of the message. He didn’t take offense. It wasn’t the first time he’d heard it. It wouldn’t be the last. Still, it came as a bit of a surprise given the fact that he’d washed away all signs of blood—both his and the blonde’s—and changed his clothing. His jacket continued to sport a sizable hole, but it was on the back where he liked to believe it wasn’t as noticeable. At least not to him. Rescuing a brown paper sack from a trashcan outside The Bethany, Bridge bagged his bottle and carried it by the neck like any respectable wino would. Though Spade had tried to convince him to turn back—he knew full well where they were headed—, the cat stopped after Bridge took a swipe at him with his foot and missed. The remainder of their trip was filled with awkward silence. As his sole concession to tiny legs, Bridge slowed his gait but never once looked back. Twenty minutes later, they arrived at Miss Fortune, making all further arguments moot. There were numerous stories regarding how the restaurant had come to be named, but nearly all of them involved the owner, a man named Pang. He had arrived in the States some twenty years earlier, carrying the entirety of his family’s life savings on his back along with a limited working knowledge of English. While scouting locations to house his new enterprise, he soon became taken with this space. To him, it hadn’t mattered that the building’s previous owner had been a laundromat that had defaulted on its loan. Pang sold off the presses at a loss and put in a tiny kitchen with a dining room that seated thirty people uncomfortably. Those were the facts. Here is where stories diverged. When it came time to open, there was no budget left for a new storefront sign, forcing Pang to hand-letter the restaurant’s new name alongside the former laundromat’s existing logo. This just happened to be a mysterious-looking Asian woman, a golden dragon wrapped around the curves of her red dress while her flowered parasol hid one eye from view, as if she were harboring a secret. The name had been the product of a simple miscommunication between the owner and his realtor. Of course, the more popular story—if somewhat less believable—was that the woman on the sign was the reason Pang had purchased the spot in the first place. And when he named his business, he named it for her. He had never married, and had never missed a single shift in the last two decades, always waiting for the artist’s model to one-day walk through his door. Whatever the case, in spite of Pang’s choice of name—or maybe even because of it—, Miss Fortune was a moderate success. It was Pang—now grayer and a little hunched—who stood at the entrance with his hand held out in front of him, as if it would be enough to prevent Bridge from coming into the establishment. Although prone to single-mindedness—in this case, getting into the kitchen—, Bridge did his best to be diplomatic. He had no quarrel with the owner, but he had no business with him either. “I need to see the cook,” he said. Any language barriers that had existed at the beginning of their conversation must have toppled at the thought of Spade turning up with some pink-tailed vermin gripped between his jaws. Odds were, Miss Fortune would have come up empty, but the owner wasn’t willing to risk the restaurant’s reputation on it. His response was both immediate and firmly in the negative. Without another word, he pointed through the dining area to a swinging door along the back wall, where Bridge assumed he would find both the kitchen and the cook. Bridge made his way past diners who paid no attention to the white-haired man of indeterminate age. They were far too busy ogling the black cat following behind him in lockstep, its tail held at attention. No one said boo as they passed into the kitchen and out of sight. The space beyond the door was too close for comfort. 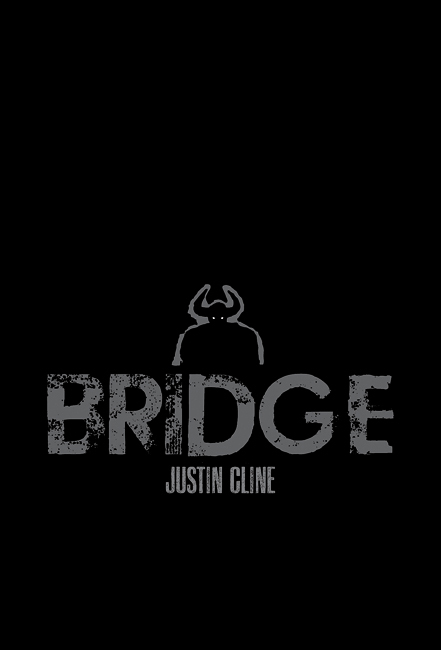 All of Bridge’s senses were dialed up to maximum by the overwhelming input: the sound of multiple woks sizzling, a myriad of conflicting smells, the sight of one man taking on a workload better suited for three. The cook’s hands moved with a speed afforded only to the individual with intense concentration, seasoning, stirring, and incorporating additional ingredients as he went. Bridge hesitated to interrupt. As it turned out, he didn’t have to. 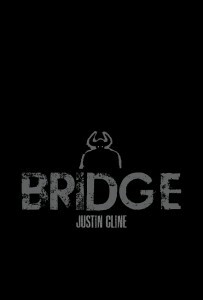 Bridge said the first words that came to mind. “I think I’m fine where I am. How have you been, Y–?” But there was no finishing the man’s name. Instead, there was only ducking to avoid the butcher’s knife that buried itself in the wall where his head had been a split second before. The blade was still vibrating when the cook spoke. “Zhàn.” Bridge waited for more, but that was all of it. In a day of one-word names, here was yet another—this one definitely an alias—, and yet it was fraught with meaning. Temporary. “I know it’s been a while, but… I brought something for you,… Zhàn.” The name felt foreign on his lips. He didn’t like it. He held out the bottle to the young cook. When Zhàn refused to accept it, Bridge pulled the bottle free from the bag to show that its contents weren’t what the kid might have expected. Bridge didn’t need to be told twice. He was halfway to the exit when the kid called his name. When he turned, he half-expected to find the knife coming at him once again. But then he realized that was ridiculous. If and when the cook legitimately tried to kill him, he’d make damn sure that not only would Bridge see it coming but there would be zero chance of escape. This entry was posted on Wednesday, December 21st, 2011 at 12:01 am	and is filed under Uncategorized. You can follow any responses to this entry through the RSS 2.0 feed. You can skip to the end and leave a response. Pinging is currently not allowed. « Peter Jackson’s ‘The Hobbit’ Has A Trailer!!! I'm guessing by your hasty retreat, that you're still 20th in line for the throne.